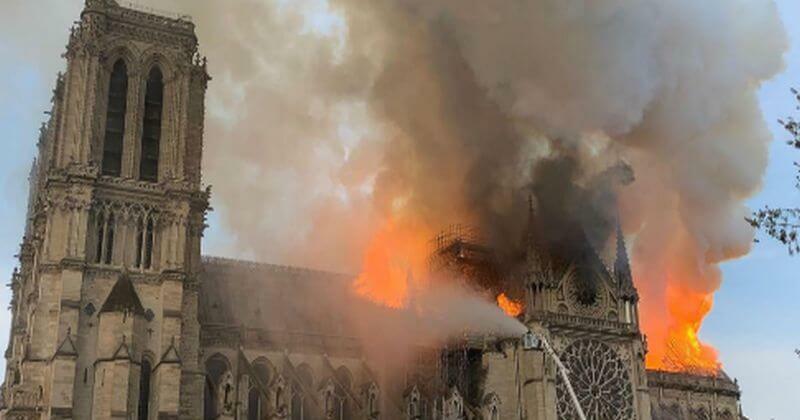 – The first stone of the Notre-Dame de Paris (“Our Lady of Paris”) cathedral was laid in 1163 in the reign of Louis VII, as the medieval city of Paris was growing in population and importance, both as a political and economic center of the kingdom of France. – Victor Hugo used the cathedral as a setting for his 1831 novel, “The Hunchback of Notre-Dame.” Quasimodo, the main character, is feared by Parisians because of his deformity but finds sanctuary in the cathedral and is employed as a bell-ringer. Quasimodo has been portrayed by Hollywood actors including Charles Laughton and also in an animated Disney adaptation.